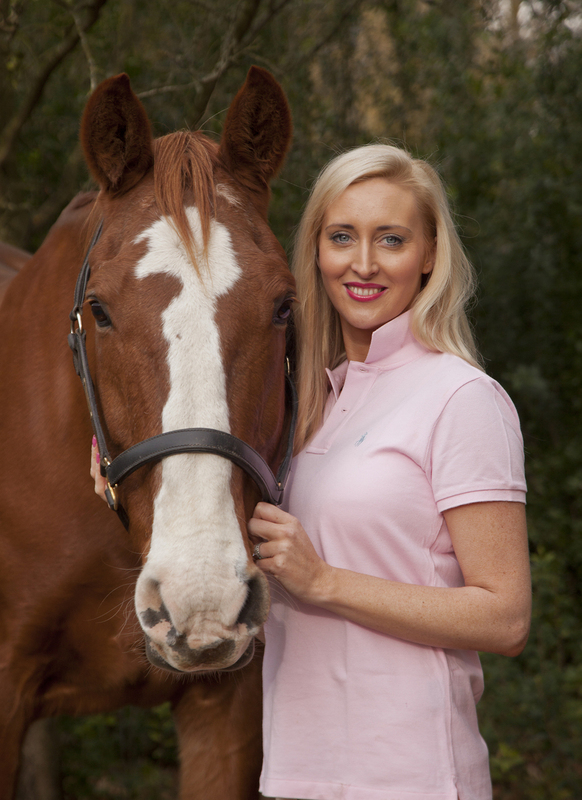 As a horse crazy girl, Soraya dreamt of owning her own pony and riding every day. For years, pony books like The Saddle Club had to suffice, until the day she finally convinced her parents to buy her a horse. There were plenty of adventures on horseback throughout her childhood, and lots of stories scribbled in notebooks, which eventually became inspiration for Soraya's very own pony series. Soraya now lives with her husband and children on a small farm in her native New Zealand, surrounded by four-legged friends and still vividly recalling what it felt like to be 10 years old and head over heels in love with horses. She also writes books for adults under the name Soraya Lane, with over 26 books published! For pics of horses & to see more about Soraya follow her on Instagram! Yes! I live on a 12-acre farm in New Zealand, and we have four horses. My favourite is Finn, because I’ve had him for so long. He’s around 21 years old, and he’s the most gorgeous 17.2hh chestnut with a big white blaze and four white socks. Finn is an Irish Hunter/Arab Cross. I also have a young horse named Maddison (aka Maddie) and she’s a 15.2hh Thoroughbred/Arab/Quarterhorse. Maddie is only 5 years old and hasn’t been ridden much yet, and she’s very cheeky! We also have my husband’s lovely Shire/Clyde pinto mare, Missy. Missy and Finn are best friends and have lived together for more than 8 years now. Before we were busy with our children on the weekends, we used to take Finn and Missy to an amazing forest that led to the beach, and go on big trail rides a couple of times every week. The horses loved it! Our fourth horse is Cleo. Cleo is just under 9hh, and she’s actually a miniature horse. Our eldest son Mac (5) has just started riding her, and I think Cleo loves the attention as much as Mac loves doing things with her! I want to become an author. Where do I start? As a young girl, I was always writing stories and dreamt that one day I’d write the kind of pony books I grew up reading. There is no other way to be an author other than to write as much as you can, and the more you write the better you become at crafting stories. Write down all your ideas in a notebook, write whenever often, and read lots of different books. When I finished high school I went to study law at university. I graduated, kept writing while I worked in my first real job, and then went back to university to obtain a Master of Fine Arts degree (MFA) in Creative Writing. During that time I was working as a freelance journalist, writing magazine articles and creative copy for advertising agencies. Then I sold my first book, which was for adults, followed by many more, and eventually I sold this exciting series to Penguin. Everyone has a different path on their journey to becoming an author, and if you’re series about writing books for a job, then don’t let anyone tell you that you can’t do it. Write as much as you can, and if you can find a friend who loves writing too, then be brave and swap your chapters so you can read each others work. Only do this if you’re both serious about supporting each other though, as you want a writing partner who’s going to be honest about your work. Many schools have special programs for aspiring authors, so talk to your English teacher or another teacher you feel you can talk to, and ask if there is any way they can help you. I didn’t even know my high school did this, until one day I asked my English teacher a question about writing. I hope so! There are currently four books to be published, but I really hope that I get to write more stories about Poppy, Milly and Katie. Can you sign a copy of my book(s) and do you visit schools? I will be having various book signings in both New Zealand and Australia. I love to meet my readers (especially horse crazy ones!) and I will sign one or all of your Starlight Stables books if you come to meet me. And don’t be afraid to talk to me! I’ll be just as nervous sitting there waiting to meet readers as you will be coming up to me, so make sure you come over and say hi! If you would like me to visit your school, please send me an email and I’ll do my best. I love to hear from readers and I promise to personally email you back if you contact me. And if you're on Instagram, follow Soraya here! She posts photos of her horses, family & book signings, & sometimes does book giveaways.